The ICARE4EU project has now entered the programme selection phase. This is a crucial phase, in which we will select high potential programmes from among the 110 innovative initiatives of integrated care for people with multimorbidity we’ve identified so far. In October 2014, data collection on these initiatives was concluded in 29 European countries (for details regarding the criteria, please see the previous post of our colleague Ewout van Ginneken). The next step is to choose further criteria for the selection of high potential programmes. This includes both general core criteria (e.g. evaluation, transferability) and four specific dimensions regarding patient centeredness, management and professional integration, use of e-health technology, and financing systems. Each project partner has specific expertise on one of these four areas. These criteria were discussed during our project meeting in Glasgow on 19 November 2014 and will be based on indicators from our survey, as well as more qualitative information, such as expert opinions etc. In our next ICARE4EU blog we will elaborate on these. Next, each partner will select two promising programmes for an in-depth site visit, in order to analyse their characteristics in more detail. The Italian National Institute of Health and Science on Ageing (INRCA) is responsible for the e-health perspective and related selection criteria, and will provide a policy summary on e-health that looks at people with multimorbidities, with a specific focus on older people (65 years and over). In the ICARE4EU questionnaire, e-health is defined as “the overarching term for the range of tools based on information and communication technologies (ICT) used to assist and enhance the prevention, diagnosis, treatment, monitoring, and management of health and lifestyle.” The instrument explores various dimensions, e.g. types of digital healthcare communication and of electronic systems for registering/monitoring care processes, electronic decision support systems for care providers, systems that support self-management of patients. From examining the preliminary findings of the ICARE4EU study (please refer to the country specific fact sheets for Finland, Germany, Italy, and the Netherlands, which have been published on our project’s website), many interesting and innovative programmes related to multimorbidity were identified. In Italy, for example, the integration of care services and improved collaboration between care providers have been observed in all programmes. Changes in the utilisation of services (e.g. reduced hospitalisations), the involvement of informal carers, and transferability of the programme were also often reported. At least two programmes reported improved coordination of care, staff and client satisfaction, cost savings, and patient involvement. Promising practices for the use of e-health in integrated care have also been found; for example, in Finland (in three out of five programmes) and in Italy (in two out of four programmes). Regarding the Italian situation, the inclusion of e-health services is proceeding through active projects and initiatives in almost all Italian regions, aiming at an increasing implementation of a national digital strategy. It shows that selecting two programmes will be a real challenge. We hope, however, that this will help us better understand the key success factors behind combining innovative integrated care services with promising e-health solutions (see, for example, the Good e-health Report). Please visit our website and sign up for our newsletter. Any ideas you may have on issues relevant to improving care for people with multimorbidity are more than welcome. Competing interests: We declare that we have read and understood BMJ policy on declaration of interests and we have no relevant interests to declare. 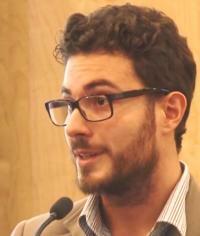 Francesco Barbabella, PhD, is research fellow at the Centre for Socio-Economic Research on Ageing of the Italian National Institute of Health and Science on Ageing (INRCA), Ancona, Italy. Maria Gabriella Melchiorre, MS, is senior researcher at the Centre for Socio-Economic Research on Ageing of the Italian National Institute of Health and Science on Ageing (INRCA), Ancona, Italy.